Minimising production times to ensure competitiveness is one of the most important challenges in the automotive industry - Henry Ford already recognised this over a century ago. After decades of optimisation, it is difficult to reduce machining times even further while maintaining the same level of quality. 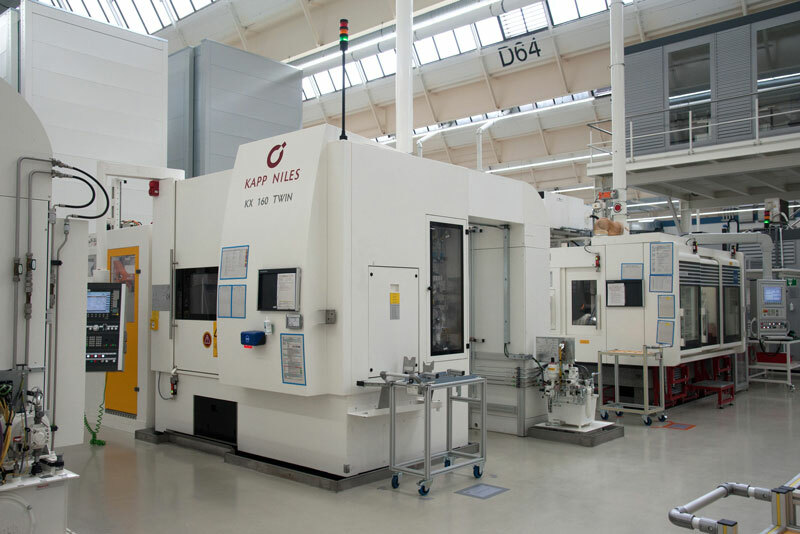 Nevertheless, the company Volkswagen (VW), near the German town of Kassel, has managed to achieve this in gearbox production using KAPP NILES gear grinding machines. The Volkswagen plant in the small town of Baunatal is one of the larger German locations of the enterprise with a workforce of about 17,000. Its production focuses mainly on passenger car gearboxes in ten different series at present. Gearing centres of KAPP NILES are being deployed on 50% of the manufacturing lines. The company, based in Coburg, Bavaria, is primarily known as a specialist for hob grinding with dressable tools - a process combining productivity and quality. KAPP NILES machines are also applied in the production of the DL 382 dual clutch gearbox for Audi. A total of sixteen gearings is required to shift the seven gears with this type of gearbox – ten ground and six honed. The production unit runs 24 hours a day, 5 - 6 days per week, depending on demand. 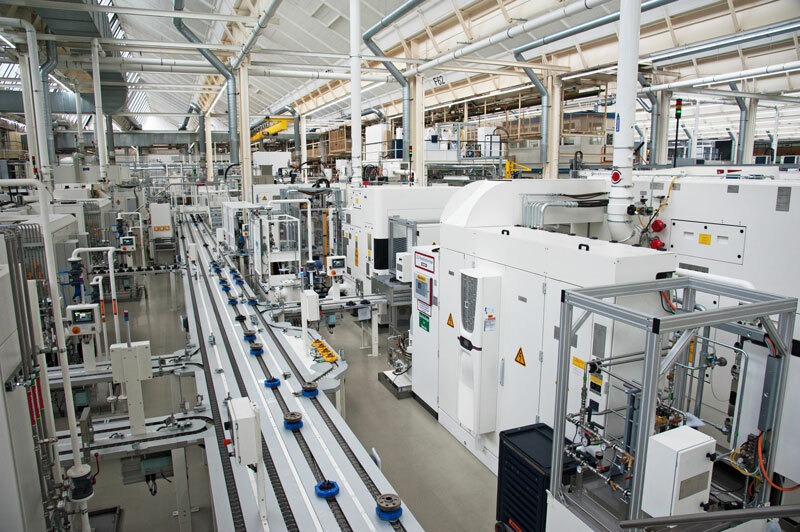 VW strives to achieve an EPEI value of 1 day in the production unit. EPEI stands for "every part every interval", meaning that all components can be produced on each day for the aforementioned gearbox. This type of streamlined production requires seamless processes and a high degree of flexibility. Technical clerk, Christian Hahn, is in charge of the production process of the DL 382 dual clutch gearbox (Image 1). He describes the production process; "We have five gearing centres by KAPP NILES in the wheel production unit and two more in the shaft production unit. In order to achieve an EPEI value of 1 day, we change over the machine in the wheel production unit twice a day. This way, we can produce ten different wheels per day." Image 1 - Christian Hahn oversees production of the DL 382 dual clutch gearbox (Photo: Martin Witzsch). 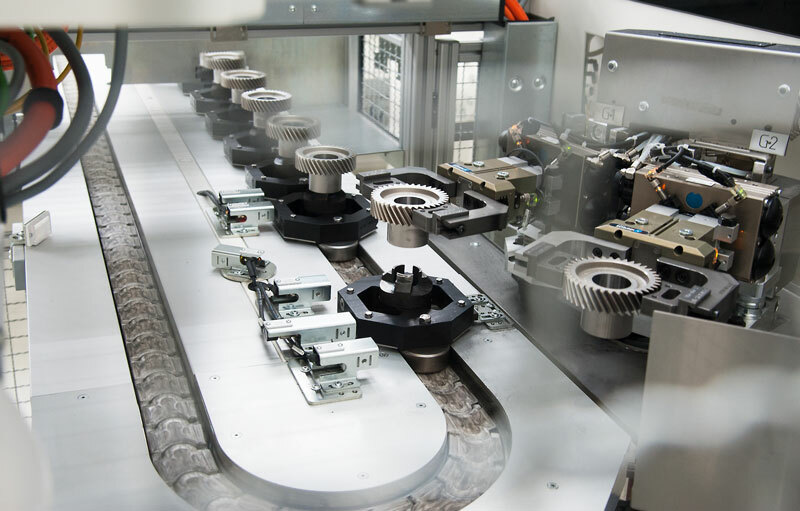 The challenge with flexible production was the short cycle times; with an output of 880 gearboxes per day, one machine in wheel production must produce 1,760 parts per day. Including all set-up times and failures, this yields a line cycle time of 34 seconds. An average line cycle time is about 39 - 40 seconds. Bernd Kümpel, application technician at KAPP NILES, analyses these figures: "Saving 5 - 6 seconds per cycle does not sound like a lot at first, but together it can be up to a 15% reduction. If I consider that at least 40% of segments cannot be influenced, I have to reduce the actual process time by 30-40%. Seen in this way, 34 seconds a real challenge." 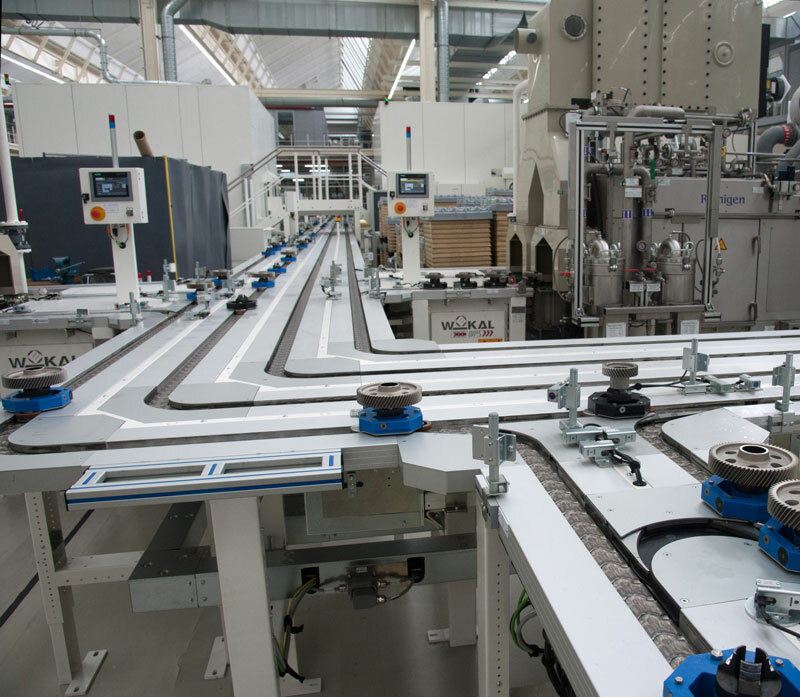 A total of seven KAPP NILES machines are being deployed which, with their low space requirement, are ideally suited for the highly automated production at Volkswagen. These include: Three KX 100 DYNAMIC (Image 2), two KX 260 TWIN in wheel production and two KX 160 TWIN in shaft production (Image 3). 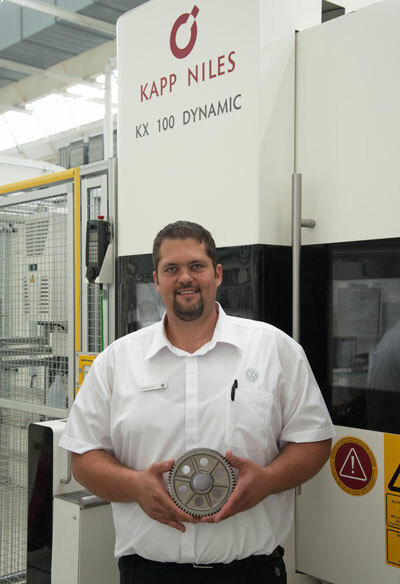 Image 2 - In wheel production: The KX 100 DYNAMIC (Photo: Martin Witzsch). Image 3 - In shaft production: The KX 160 TWIN (Photo: Martin Witzsch). Christian Hahn and Bernd Kümpel agreed from the very beginning that the desired cycle time could only be achieved with a combination of several measures. In order to minimise the daily set-up effort, Christian Hahn makes sure that the wheels that are to be produced on one machine have bore holes of the same size. Thus, he has to changeover the machine, but not the clamping tools. The remaining set-up time is minimised by the intelligent set-up concept of the KX 100 DYNAMIC. For one machine, he needs just 20-25 minutes. “The semi-automatic set-up makes the KX 100 DYNAMIC extremely user-friendly", says Bernd Kümpel, describing the process. "All you need is an Allen key for the entire set-up operation. With it, you operate the hydro-expansion clamping chuck of the dresser roll. Everything else is connected without any screws via HSK interfaces (HSK = hollow shaft cone)". An additional visual aid is available in the form of a menu-guided and easy-to-understand cycle on the machine controller. By completing the step-by-step process and the acknowledgement screen the operator ensures that no work steps are executed incorrectly or, in fact, forgotten. High-cost failures are prevented in this way. The tools are dressed using full profile rolls, allowing all threads of the cylindrical worm to be approached and moulded simultaneously. Thus, with a 5-pass full profile roll, the dressing time can be reduced by more than half without compromising on quality (Image 4). Image 4 - With a 5-pass full profile roll, the dressing time can be reduced by more than half without compromising on quality (Photo: KAPP NILES). The integrated measurement system is another important time-saver. Christian Hahn explains the advantage; "After each changeover, a quality measurement has to be made outside the machine. In fact, we continue to require this, but I can already check the basic, quality-related parameters with the integrated measurement sensor in the machine itself. It saves a lot of time since we can start production before the results of the external measurement are available." The integrated measurement system of the KAPP NILES machines thus accelerates the restart process considerably. The external measurement merely checks more teeth and generates the measurement report to monitor the gear. The search for optimisation potential also includes the actual grinding process. 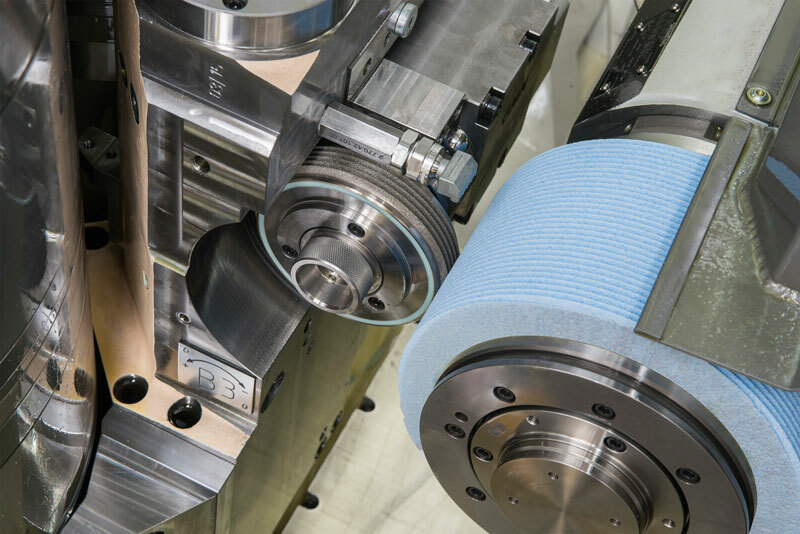 Cubitron™ II machine tools by 3M™ show a highly promising approach, with geometrically specific - triangular shaped - cutter heads, compared to conventionally dressable grinding wheels. Christian Hahn enumerates the benefits of these machine tools; "With these, you can step it up a notch, to say it plainly. That is, remove more material in one thread, and remove it faster." 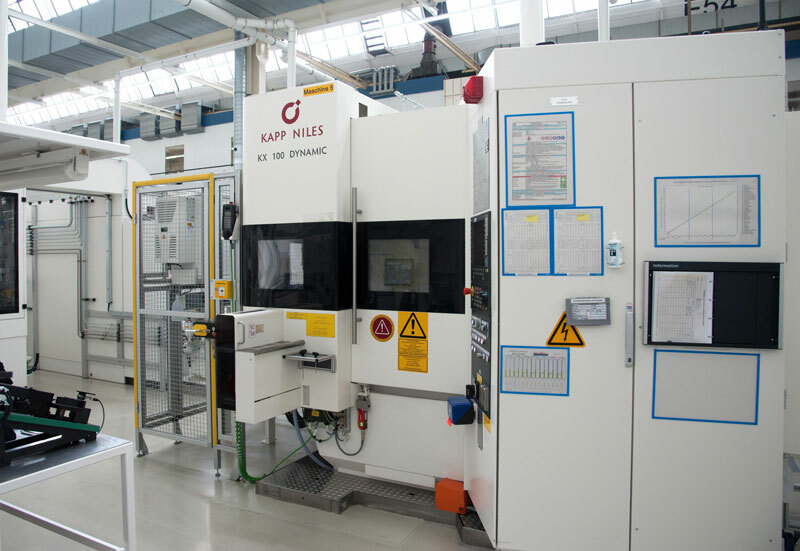 For this purpose, KAPP NILES provided relevant preparatory work with a large number of grinding tests in-house to be able to use the benefits of this machine tool with the DL 382 components. Bernd Kümpel; "With CII, you can remove a considerable amount of shavings without any thermal damage to the component. This way, we reduce time consumption by a solid 30% compared to other grinders, depending on the component." Production is characterised by a belt chaining (or linkage) which goes through the entire hall (Image 5). Among the employees, it has gained the nickname "highway". The available space is limited. Hence, the highly compact KX 100 DYNAMIC machines are the preferred choice. This machine type has two separate rotatable mounted columns, each with vertically movable pick-up axes with one workpiece spindle. 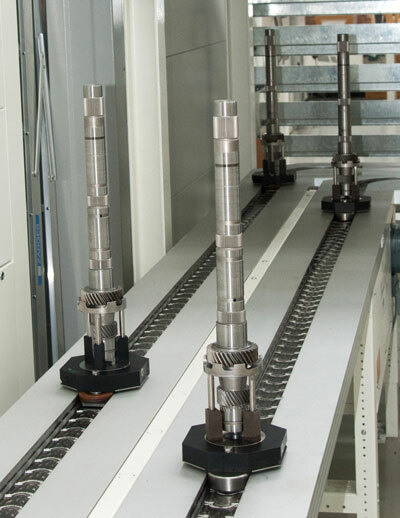 While a workpiece is being machined, the other pick-up axis places the machined workpiece and loads a non-machined part onto the workpiece spindle. The workpiece is aligned outside the work area. This allows the workpiece spindle, already accelerated to machining speed, to be swivelled in the work area. Non-production times are thus reduced to a minimum. Image 5 - The 34 seconds cycle provides for traffic on the highway (Photo: Martin Witzsch). A transfer unit (Image 6) does the loading to and unloading from the conveyor belt. Bernd Kümpel tells us; "We usually move with the belt directly below the machine. However, this was not possible here. With the transfer unit, we compensate for height and distance from the belt to the machine." This solution is not only compact, but also cost-effective. "An integrated automation solution would have been significantly more expensive, at about 25% of the price of the machine," adds Bernd Kümpel. "A simple transfer unit costs less than 10% of the machine price." Image 6 - Loading to and unloading from the conveyor belt is done by a transfer unit (Photo: Martin Witzsch). The time for conversions and commissioning is, in most cases, very limited. But the highly ambitious goals have been achieved. Christian Hahn takes stock; "Throughout the process, I have been very satisfied with the on-site support and the local service. We were convinced by the machine concept and managed to overcome any obstacles together. The cycle time, in particular, was a critical aspect. But, we did it.” And for this, they faced a lot of time constraints. The commissioning which included the machine capability analysis, where 100 components of each type are produced and measured a 100%, took place in the summer of 2016. Production commenced right in the first week of September. Image 7 - The long shafts are hollow and thus comparatively unstable, making the grinding process particularly challenging (Photo: Martin Witzsch). Should immediate service be required, KAPP NILES has stationed an employee in Kassel who only provides support to the Volkswagen plant. Bernd Kümpel says; "Our highest priority is to ensure production, regardless of the problems that occur." Exceptional support that is very much appreciated by VW (Image 8). Image 8 - A well-rehearsed team: Bernd Kümpel and Christian Hahn (Photo: Martin Witzsch).